Disclaimer: This pattern is my own. You have permission to sell the finished product but not to sell, copy or in any way claim this as your own. Thank you. This post contains affiliate links which means if you purchase something by clicking an add I may receive a commission at no extra cost to you. Thank you for your support. I’ve been crocheting for a long time. For me it’s a pass time that is relaxing, something to do while watching TV. 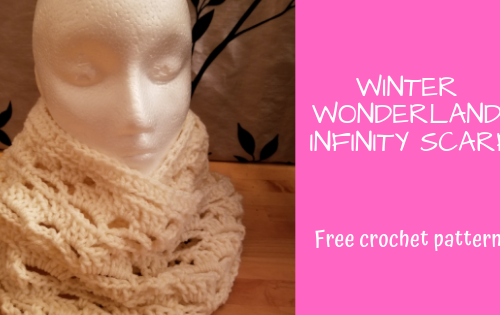 All you have to do is follow the directions and watch your skein of yarn turn into something beautiful. Lately, I have been inspired to create my own crochet patterns. It’s been really challenging, it’s not as easy to relax and watch TV while creating, but so lots of fun. There’s something about seeing my ideas come to life that’s so satisfying! This time I made a pajama pup/pet. For those of you who don’t know what that is, it’s a sort of pillowcase envelope that pajamas are put into, rather than under the pillow…or on the floor. Perfect for kids! The whole thing is quite easy and there aren’t any crazy techniques so it would be good for beginners. 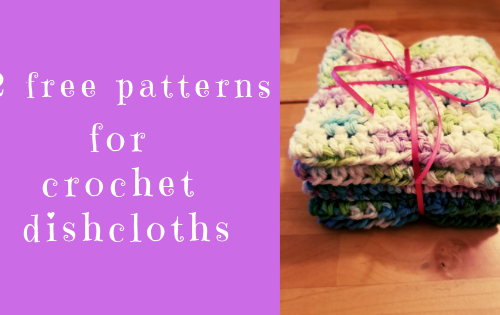 I’ve added links and explanations to the stitches that I consider a little different. So without further ado here’s my PJ pup. For this pattern, I used what I already had, which was a jumbo ball of Red Heart comfort acrylic yarn in taupe. There are 867 yards/792 meters and I used about half of the ball. A little bit of black yarn for the eye patch, eyes, mouth and nose. A small amount of blue or whatever color you want the eyes to be. 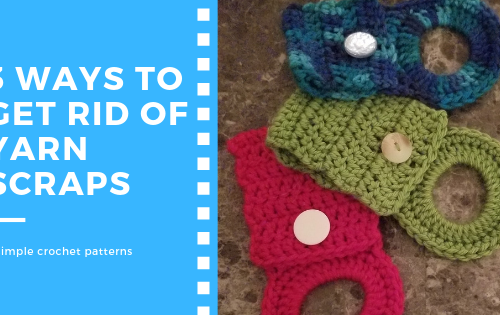 Instructions on how to make a foundation chain or foundation single crochet. Ch 2. Insert hook into the second chain from hook. Draw up a loop (you will have 2 loops on your hook), then draw through only the first loop on hook. (consider this first loop of if you were doing a standard foundation chain) You will still have 2 loops on your hook. Complete SC as normal (draw through both loops). – This would be the “row 2” if you were using the regular chain method. R1 – 76 – ch1, hdc across. Now attach black yarn to the bottom of the fsc. 25 sc, ch 6, 25 sc, fasten off. R1 – sc in 2nd ch from hook, 4 sc, 3 sc in last ch, continue on bottom side, 3 sc, inc, join with sl st.
To sew it into an envelope, on the side with ch 6 loop, count 15 rows and fold. Attach with a couple safety pins on either side. This will be the bottom. Count 23 rows and fold, use safety pins to hold together. This will be the top. Attach the button on the inside of the body. 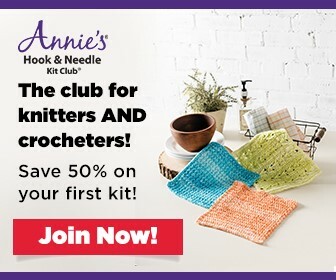 Attach brown yarn at the top and stitch side closed with a row of single crochets. Repeat on another side. The nose was embordered with black yarn. 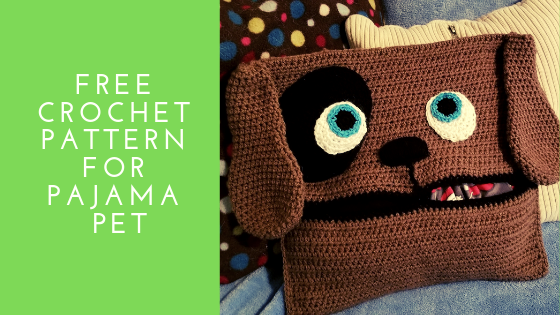 I make sure it was centred and marked with pins, I made an outline with the yarn and sewed the nose vertically until I achieved the height I wanted. I added a line between the nose and the mouth with the same yarn and tied off. The eye patch was sewn on with the long tail left after fastening off. Make sure you attach to the body just under the patch so the stitches can’t be seen. Sew the white pieces onto the eyes. To attach the eyes, I first made sure they were even and where I wanted them and then held them in place with safety pins. To sew them on just use the same technique as the patch. The ears I simply folded in half at the top and attached to the side at the top. Make sure all ends have been weaved in and that’s it! You have your very own Pajama Pup! Aaaa this is something my son will love! It is so sweet. <3 Thank you for sharing! I love it, how cute! My nieces would love them in white like their doggie but I can not be trusted to pick this craft! I’m not very good at crochet, but I think even I can make this. My kiddos will LOVE it. You’re so creative. My grandbabies would love this! It’s so much more fun than putting your pajamas under your pillow like we used to do. This has to be the cutest crochet pattern I have seen! Oh my goodness! That turned out so darling. I can’t believe you made up that pattern yourself. 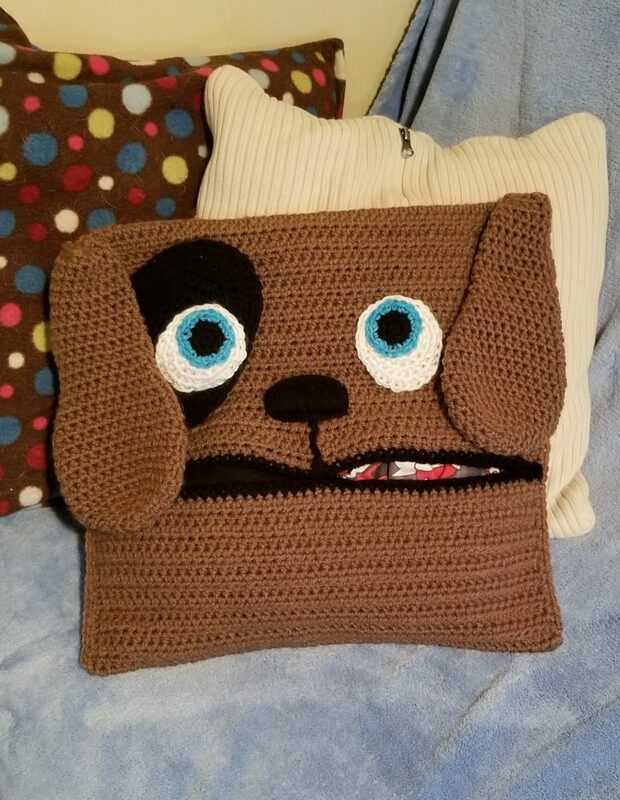 My grandma has been crocheting for years, it’s a hobby that I would like to take up myself. Homemade items are so valuable because you know how much time and love are put into them!